Good friends give presents. Great friends give beer. What's in the London Craft Beer Box? The perfect gift for Christmas, Father's Day, Mothers' Day, a big birthday, special anniversary or just to say thanks. The gift that just keeps giving. To bring you the freshest beers and limited editions from London's small and independent breweries, we bring you different beers every month. All beers exclusively brewed in London by our favourite independent breweries. At the checkout be sure to include the recipients details in the shipping area. We'll send the box with our next batch of monthly subscriptions (on or close to the 18th) with your gift message inside. Want a Recurring Subscription Instead? We get it, sometimes a one-off gift just isn't enough! You can pick a different gift option for 3, 6 or 12 months by going back a step. Alternatively, if you're looking for a subscription without a set end date then hit subscribe below. 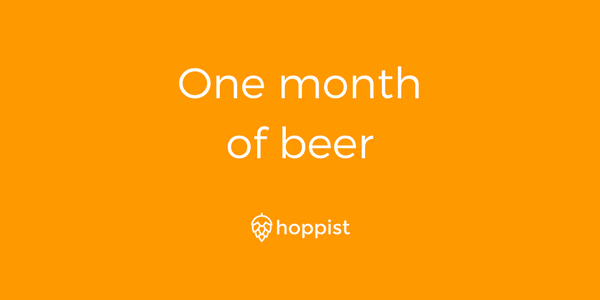 When you subscribe you'll get the chance to rate your beers too so our algorithms can match you with beers we think you'll love!